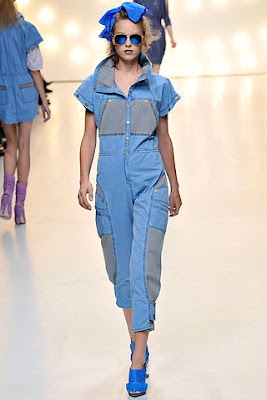 Well a trend that is bang on for Summer 2009 is jumpsuits-again. They never cease to be in and out of fashion and I for one wanted to track one down for next summer. 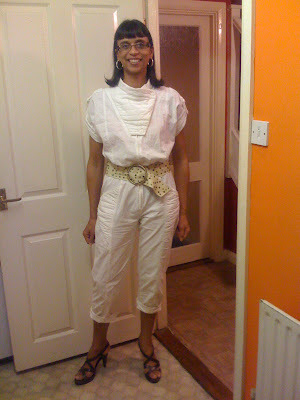 Well, thanks to my lovely mother in law, she tracked down this vintage Biba 80s jumpsuit for 50p for me!! It fits just right and I can't wait to wear it in summer!! All images (except me!) 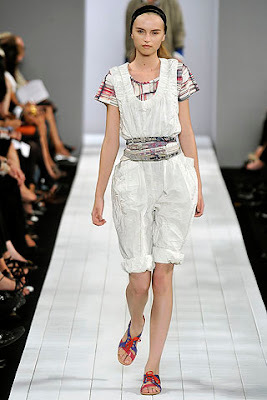 are from Style.com, click on this link to see all the major designers ready to wear collections for jumpsuits for Summer 2009. 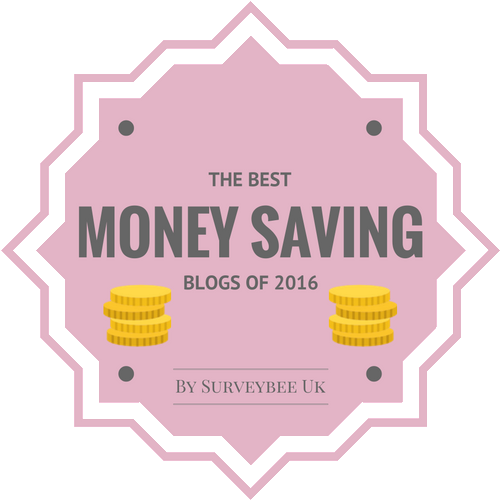 I know the lovely Skye has also leapt into this trend-will you for next year? What a great find!! You look smashing! Oh yes, I am already looking for one on ebay, love the trend! sharon, you look really cute. there are actually a lot of cute choice that won't make my legs look short. i am going to find something for me then. Hi janet taylor-thanks my dear and hope to see yours someday, it sounds lovely! Hi Silje-thanks for such a lovely comment, I'll look forward to seeing your future one my dear! Hi Savvy-thanks so much my dear, and there are certainly a lot of choices and styles to choose from! Hi there - you seem to have a really nice mother-in-law! That jumpsuit she got you looks great on you, but overall jumpsuits are not an item of clothing that I fancy. 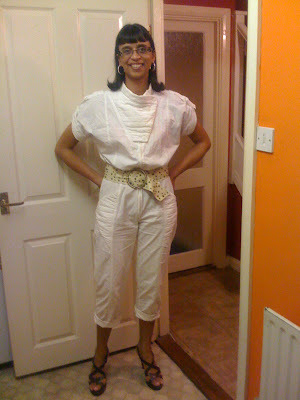 Hi Cate-thanks for your lovely comment-I think jumpsuits are a trend you either love or hate, LOL! You look fab! Wasn't ENC of Observationmode so ahead of her time with her interest in jumpsuits? Loving your inspirational pics and look, Sharon! 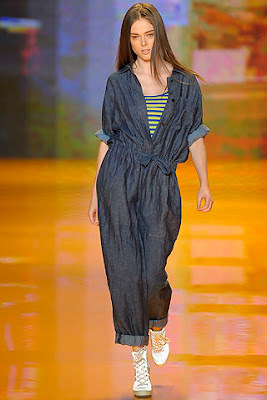 I am definitely on board with the jumpsuit for this spring! Hi Wendy-thanks for your lovely comment, Enc has fabulous taste indeed! Hi Couture Carrie-thanks a lot my dear, hope you track one down too! Sharon, dear, you look wonderful, oh I'm so jealous. I want one too. You have the BEST mother-in-law ever! 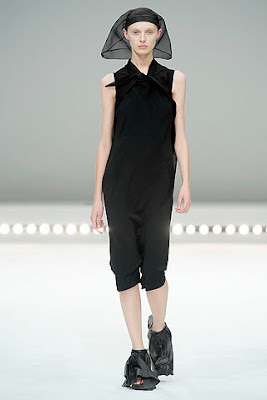 What a lovely jumpsuit that is. Great shot of you Sharon! You slotted right in with the models. I hope you had a wonderful holiday break. Oh you look really good wearing that jumpsuit :). 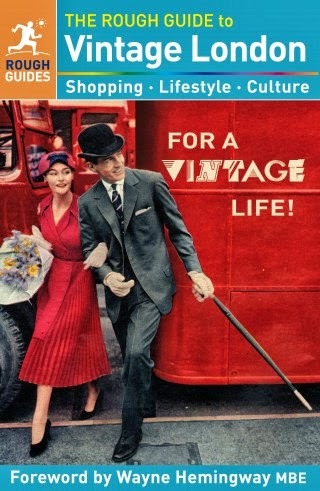 you look great in it..
a biba jumpsuit for 50pence? simply priceless i tell you! it looks great on you darling. Aaah jumpsuits ... I remember them being big in the '80s! I'm glad they're making a comeback. They're like dresses (1 pc. clothing) but more comfortable. Yay! Love your white one, b.t.w. Hi the seeker-thanks a lot my dear, you will look lovely in one too! Hi skye-yes, she really has such a good eye for thrift bargains, thanks! Hi lenya-thanks for such a lovely comment my dear! Hi nadine-so kind, thanks my dear! Hi atelier-oh yes, I loved the floral Stella jumpsuit from last year too! Hi saray-I do hope your share it with us!! Hi marian-thanks for such a sweet comment my dear! Hi tara-hope you find one too, thanks! Hi anchibride-thanks for your lovely comment my dear! Thank you so much for the comment. Oh, I do love this jumpsuit you have on. Even better than some of these models. I just hate getting in and out of them. Have a great week and a wonderful new year! Brilliant! You look fab - does your mother-in-law do requests??? Hi ellie-thanks for such a lovely comment my dear!! Hi kate-nice to see you!! LOL, she is under strict instruction not to pass over any Ossie Clarks!! Hi deb-thanks so much my dear!! I like yours best of all, beautiful! No kidding. Hi Sal-thanks so much, thats lovely! Jumpsuits are great, and your mom in law is lovely! Hi deep in vogue-thanks for stopping by with your lovely comment! Hi the beautiful and glammed-thanks for stopping by with your lovely comment! Hi fashion dreamer-thanks for your lovely comment, I do hope you find one!! Just found your blog. I love that you post a lot of pictures of yourself. I don't have the curves to rock a jumpsuit - I think I'd end up looking like I was dressed in my big sister's clothes - but I love watching everyone else wear it. Really sick. Hi piper madison-thanks for stopping by with your lovely comment, wishing you a happy new year!